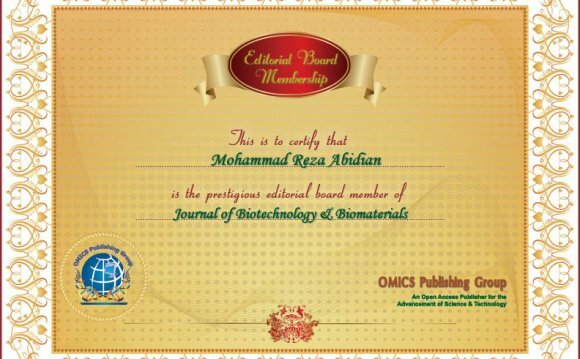 The African Journal of Biotechnology (AJB), a new broad-based journal, ended up being founded on two key principles: to create more exciting analysis throughout aspects of applied biochemistry, commercial microbiology, molecular biology, genomics and proteomics, food and agricultural technologies, and metabolic engineering. Next, to supply more quick turn-around time easy for reviewing and posting, and also to disseminate the articles easily for teaching and guide purposes. All articles posted in AJB are peer-reviewed. The African Journal of Biotechnology is posted month-to-month (one amount each year) by Academic Journals. Data provided are for educational reasons just. Although carefully collected, accuracy cannot be assured. The influence element represents a rough estimation of this record's impact aspect and does not mirror the present effect factor. Writer conditions are offered by RoMEO. Differing conditions from author's actual policy or licence contract could be appropriate.